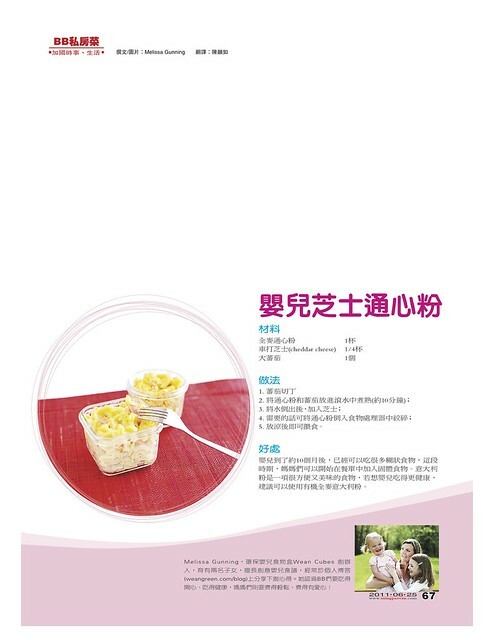 This entry was written by Melissa, posted on July 7, 2011 at 4:35 pm, filed under Recipes of the Week and tagged homemade baby food, macaroni and cheese, ming pao. Bookmark the permalink. Follow any comments here with the RSS feed for this post. Post a comment or leave a trackback: Trackback URL. Very nice!!! Thanks for this!! !